This was all I knew of Donne for many years. I put him down as an insightful preacher and left it at that. Discovering all the phases he went through in life was an eyeopener. Donne was born into a recusant Catholic family in Elizabethan England at a time when practicing Catholicism was illegal. His mother was the great niece of Thomas More, and a number of his close relatives were executed for their faith. In 1583, the 11-year-old Donne began studies at Hart Hall, now Hertford College, Oxford. After three years of studies there, Donne was admitted to the University of Cambridge, where he studied for another three years. However, Donne could not obtain a degree from either institution because of his Catholicism, since he refused to take the Oath of Supremacy. In 1591 Donne was accepted as a student at the Thavies Inn legal school, one of the Inns of Chancery in London. In 1592 he was admitted to Lincoln’s Inn, one of the Inns of Court. In 1593, five years after the defeat of the Spanish Armada and during the intermittent Anglo-Spanish War (1585–1604), queen Elizabeth issued the first English statute against sectarian dissent from the Church of England, titled “An Act for restraining Popish recusants”. Donne’s brother Henry was also a university student prior to his arrest in 1593 for harboring a Catholic priest, William Harrington, whom he betrayed under torture. Harrington was tortured on the rack and executed. Henry Donne died in Newgate Prison of bubonic plague, leading Donne to wonder about the value of his Catholic faith. During and after his education, Donne spent much of his considerable inheritance on women, literature, pastimes and travel. Although no record details precisely where Donne traveled, he did cross Europe and later fought with the Earl of Essex and Sir Walter Raleigh against the Spanish at Cadiz (1596) and the Azores (1597), and witnessed the loss of the Spanish flagship, the San Felipe. By the age of 25, Donne was appointed chief secretary to the Lord Keeper of the Great Seal, Sir Thomas Egerton, and was established at Egerton’s London home, York House, Strand close to the palace of Whitehall, then the most influential social center in England. During the next four years Donne fell in love with Egerton’s niece Anne More, and they were secretly married just before Christmas in 1601, against the wishes of both Egerton and George More, who was Lieutenant of the Tower and Anne’s father. Upon discovery, this wedding ruined Donne’s career, getting him dismissed and put in Fleet Prison, along with the Church of England priest Samuel Brooke, who married them, and the man who acted as a witness to the wedding. Donne was released shortly thereafter when the marriage was proven valid, and he soon secured the release of the other two. After his release, Donne had to accept a retired country life in a small house in Pyrford, Surrey, owned by Anne’s cousin, Sir Francis Wooley, where they resided until the end of 1604. In spring 1605 they moved to another small house in Mitcham, London, where he scraped a meager living as a lawyer, while Anne Donne bore a new baby almost every year. 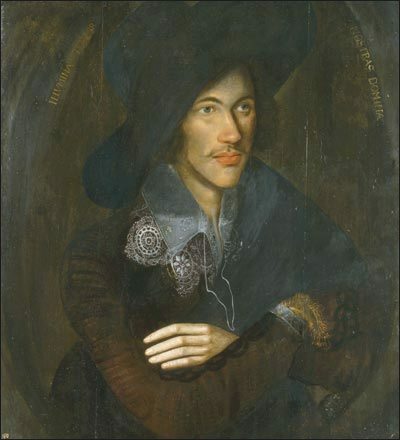 Though he also worked as an assistant pamphleteer to Thomas Morton writing anti-Catholic pamphlets, Donne was in a constant state of financial insecurity. Anne gave birth to 12 children in 16 years of marriage, (including two stillbirths—their eighth and then, in 1617, their last child). She spent most of her married life either pregnant or nursing. She died on 15th August 1617, five days after giving birth to their 12th child, a still-born baby. Donne mourned her deeply, and wrote of his love and loss in his 17th Holy Sonnet. 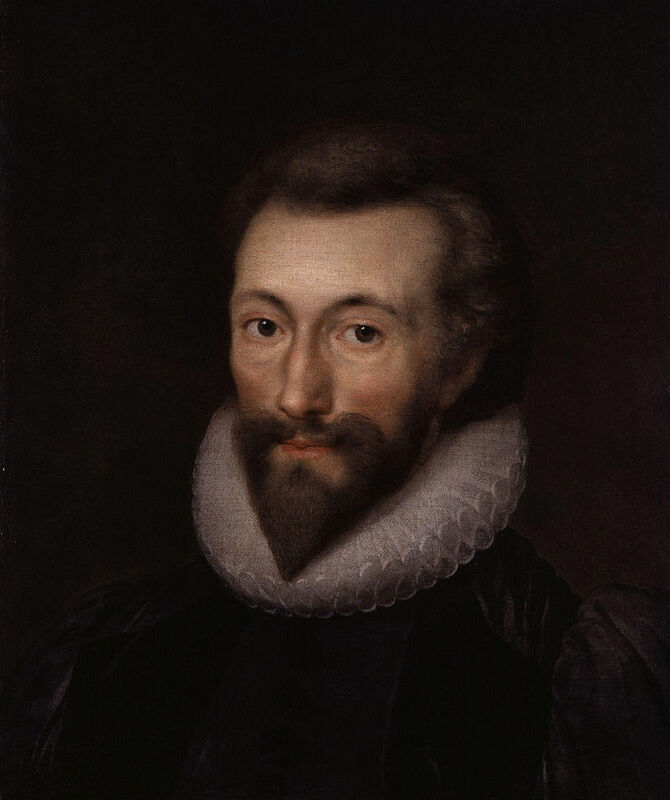 In 1602 John Donne was elected as Member of Parliament (MP) for the constituency of Brackley, but membership was not a paid position. Queen Elizabeth I died in 1603, being succeeded by James VI of Scotland as James I of England. The fashion for coterie poetry of the period gave Donne a means to seek patronage, and many of his poems were written for wealthy friends or patrons, especially MP Sir Robert Drury of Hawsted (1575–1615), whom he met in 1610 and became Donne’s chief patron, furnishing him and his family an apartment in his large house in Drury Lane. 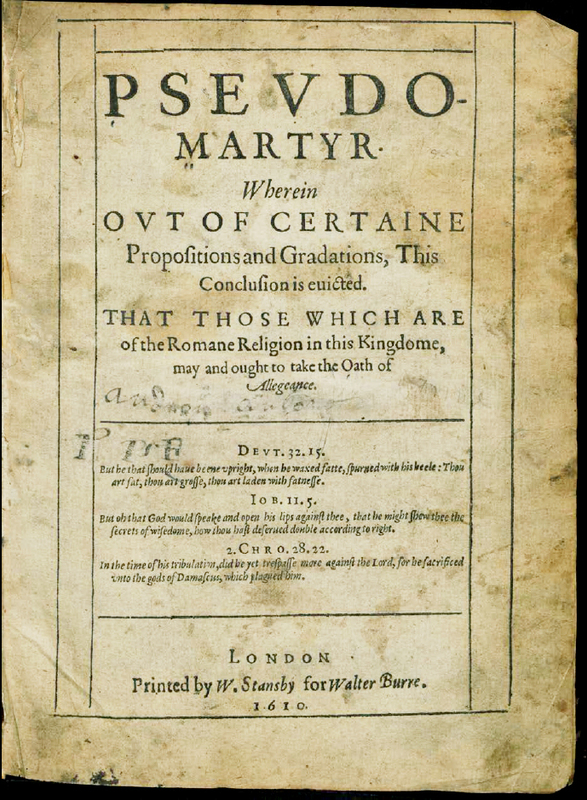 In 1610 and 1611 Donne wrote two anti-Catholic polemics: Pseudo-Martyr and Ignatius His Conclave for Morton. He then wrote two Anniversaries, An Anatomy of the World (1611) and Of the Progress of the Soul (1612). Donne sat as an MP again, for Taunton, in the Addled Parliament of 1614. Although James was pleased with Donne’s work, he refused to reinstate him at court and instead urged him to take holy orders. At length, Donne acceded to the king’s wishes, and in 1615 was ordained priest in the Church of England. In 1615 Donne was awarded an honorary doctorate in divinity from Cambridge University, and became a Royal Chaplain in the same year, and a Reader of Divinity at Lincoln’s Inn in 1616, where he served in the chapel as minister until 1622. In 1618 he became chaplain to viscount Doncaster, who was on an embassy to the princes of Germany. Donne did not return to England until 1620. In 1621 Donne was made dean of St Paul’s, a leading and well-paid position in the Church of England, which he held until his death in 1631. In late November and early December 1623 he suffered a nearly fatal illness, thought to be either typhus or a combination of a cold followed by a period of fever. During his convalescence he wrote a series of meditations and prayers on health, pain, and sickness that were published as a book in 1624 under the title of Devotions upon Emergent Occasions. One of these meditations, Meditation XVII, is “No man is an Iland”. In 1624 he became vicar of St Dunstan-in-the-West, and 1625 a prolocutor to Charles I. He earned a reputation as an eloquent preacher and 160 of his sermons have survived, including Death’s Duel, his famous sermon delivered at the Palace of Whitehall before King Charles I in February 1631. Donne died on 31 March 1631 and was buried in old St Paul’s Cathedral, where a memorial statue of him by Nicholas Stone was erected with a Latin epigraph probably composed by himself. 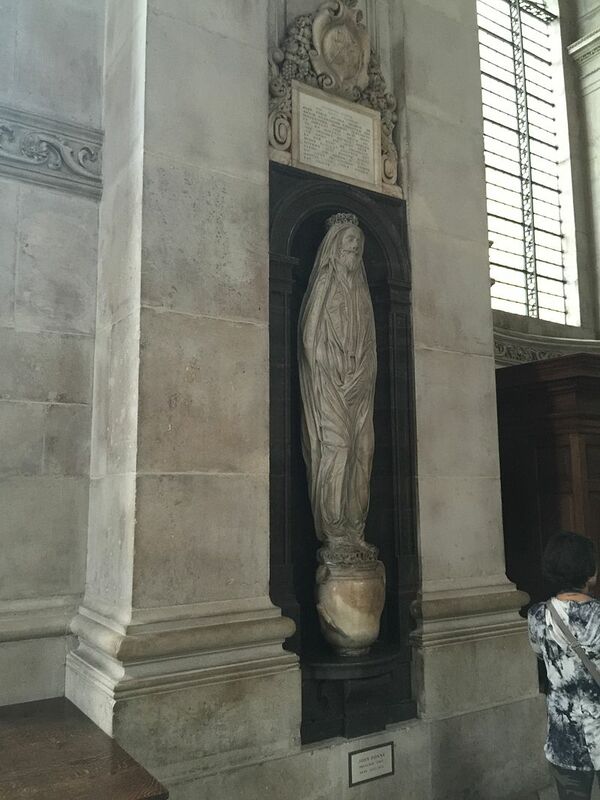 The memorial was one of the few to survive the Great Fire of London in 1666 and is now in St Paul’s Cathedral. The statue was claimed by Izaac Walton in his biography to have been modeled from the life by Donne in order to suggest his appearance at the resurrection. This was to start a vogue in such monuments during the course of the 17th century. 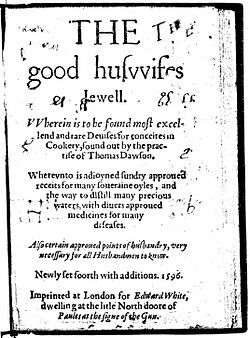 Here is a recipe from the 1596 edition of THE good huswifes Jewell. Wherein is to be found most excellend and rare Deuises for conceites in Cookery, found out by the practise of Thomas Dawson.&c. The spelling and tone will remind you of Donne, and the recipe is quite extraordinary. It seems that the resultant broth is meant to be medicinal. I am sure it would have had a complex flavor, although the gold would not have added anything. You must cutte him in sixe peeces, and washe hym cleane, and take prumes, Currantes and Dates cutte verye small, and Reasons of the Sunne, and Suger beaten verye small, Cinamone, Gynger and Nutmegs likewise beaten, and a litle Maydens hayre cutte verye small, and you must put him in a Pipkin, & put in almost a pinte of Muscadine, and then your spice and Suger vppon your Cocke, and put in your fruite betweene euery quarter, and a peece of Golde betweene euery peece of your cocke, then you must make a Lidde of Wood fit for your pipkyn, and close it as close as you can with paste, that no ayre come out, nor water can come in, and then you must fill two brasse pots full of water, and set on the fire, and make fast the pipkin in one of the Brasse pottes, so that the pipkins feete touch not the brasse pot bottom, nor the pot sides, and so let them boyle foure and twentie howres, and fill vp the pot still as it boyles away, with the other pot that standes by, and when it is boyled take out your Golde, and let him drinke it fasting, and it shall helpe him, this is approoued.